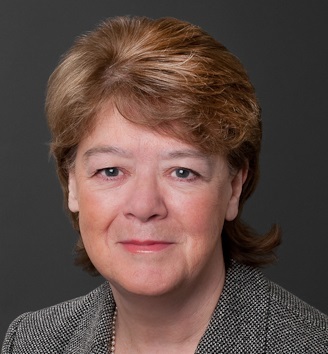 Janet has worked in the broad sphere of legal IT virtually all her working life – even her MBA speciality was ‘Competitive Advantage in the Legal Profession’. After working in administration at A&O, Janet set up a specialist consultancy practice looking at technology services (in their widest sense) for legal firms. She joined BLP about 19 years ago – initially as a consultant but later as their IT Director with a wide range of responsibilities. She normally says ‘if it plugs into an electric socket and does not make coffee it belongs to me!’ She was responsible for technology in its broadest sense, including ecommerce activities, knowledge management services and the building and infrastructure. Janet established The Adelaide Group a women in business networking group in 1997 – the first speaker and honorary President is Cherie Blair. The group now has over 1000 members and holds regular events listening to high profile women speakers. Janet is Chairman of Governors of a local preparatory school. She is on the Board of Roehampton University. She was the Regional Vice President of the International Legal Technology Association for the EMEA region and was on the global board.